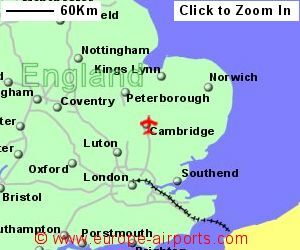 Cambridge Airport is located 3Km east of Cambridge centre, 80Km north of London. What was presiouly named Marshall Airport Cambridge, changed it's name to Cambridge airport in 2011 and plans were announced for a passanger terminal refurbishment. In May 2012 it was announced that Blue Islands airline would be operating the first scheduled flights from the airport for 5 years. 5,799 passengers passed through Cambridge airport in 2015, a drop of 72% from the previous year.